Product categories of Surface Measuring Instrument, we are specialized manufacturers from China, Surface Measuring Instrument, Rubber Roller Surface Measuring Instrument suppliers/factory, wholesale high-quality products of Rubber Roller Laser Measuring Instrucment R & D and manufacturing, we have the perfect after-sales service and technical support. Look forward to your cooperation! There are many different roughness parameters in use, but Ra, the arithmetic average of absolute values of peaks & valleys of the sample length measured, is the most common referred to in the roller manufacturing industry. 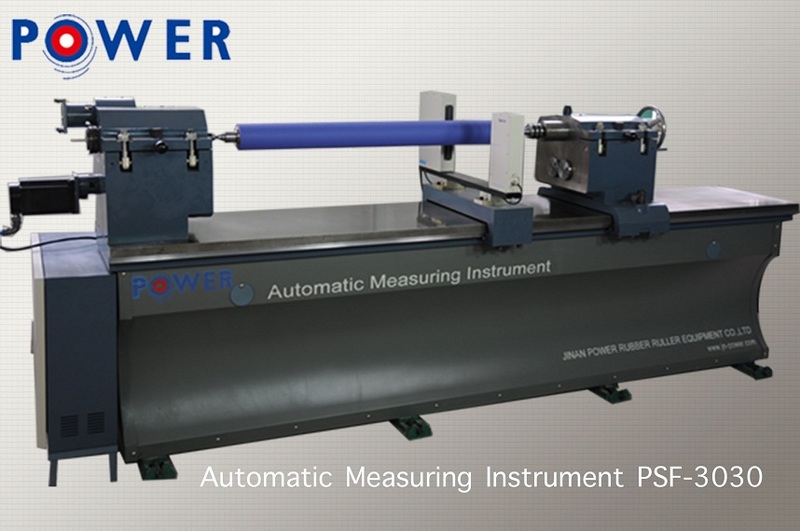 PSF Rubber Roller Surface Measuring Instrument is specially designed and manufactured for Rubber Roller production enterprises. It's a kind of precise testing instrument consist of the most advanced laser probe. It can make measurement for any apparent tolerance and roughness on surface of Rubber Rollers. Of not only importance significance for quality control of rubber roller products, it's also ideal terminal equipment in modern management of the production techniques of rubber rollers.